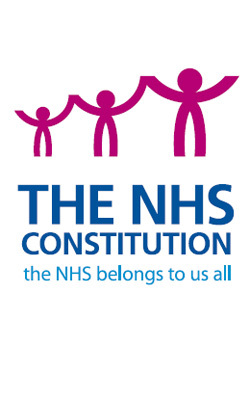 Get It Right, It Is NHS Bribery. REALLY?! What a contradiction the constitution peddles. Another NHS scandal hit the news recently, this time at a Mid Staffordshire hospital; it was reported that 1,200 patients died as a cause of neglect in care. For me this report of the negligence the NHS are responsible for is a tip of an iceberg. This recent confirmation of patient deaths is shocking and deplorable, but what makes the whole sordid business worse by miles, is the fact that the families of these unlawfully killed, were silenced by the NHS for so long. These families claims were ignored, although they were known to be true by the hospital in question. These families have been battling for too long a time to bring all of this disgusting mess out into the light for everyone to know about. These families have had no recompense, no apology and no explanation – that is the most disgusting thing about all of this. This lack of responsibility, lack of consequence that the NHS has, an immunity almost, IS SINISTER. They do as they see fit, and patients and their families have to to just put up and accept this nonsense which the NHS insist in calling ‘care’. In fact it has been discovered that 105 NHS Foundation Trusts in 2010/11 actually spent a total £2.5 million on gagging clauses. Prohibiting the staff from speaking out, ‘whistle blowing’, upon the villainous conduct going unpunished in the hospitals. This is not to mention the actual number of gagging clauses in place in the above Mid Staffordshire hospital which total a staggering £14.7 million!!!!!!!!!!!! Remember this is tax payers money!!!!! Imagine the staff and resources being scrimped upon to keep all these staff members quiet????!!!! In reality then, these aren’t gagging clauses, THEY ARE BRIBERY !!! Lets call it as we see it please, bribery, plain and simple! Stop beating around the bush and admit it – you are a bunch of cheating, lying , murdering thieves – criminals! All being hidden nicely behind the curtain of immunity that the NHS provides you!! This post is a quick response to the above article featured in The Telegraph newspaper. It led me to wondering what people’s actual opinions are about smacking children when they are naughty. Isn’t there a difference in beating a child senseless and a light tap on the hand or bottom??? 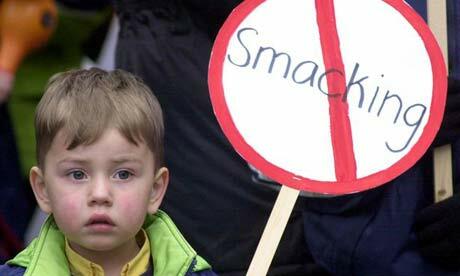 Does smacking a child always mean they will be physiologically disturbed when they grow up??? Or do they become violent adults???? Is it possible to fully reason with a 5 year old?? Explaining to them that their behaviour is wrong, and asking them why they engaged in such behaviour???? Is it the states responsibility to intervene, and create laws forbidding parents to discipline their children as they see fit???? Has this all gone too far – admit you smack your child and face the wrath of Hell???? After all – extreme cases of abuse and diabolical stories of children suffering go unnoticed by the powers that be. They don’t intervene , they don’t arrest anyone, they don’t remove the child, they don’t work to change the child’s environment. So, why are they so concerned with one tiny tap on the hand??? Are the powers that be only interested in the ‘easy’ targets???? Accusing parents who genuinely care for and love their children of abuse, when really it isn’t????????? Another thought; has a decline in smacking correlated with the decline in society???????????????? I have been looking at UK based political opinion websites recently, where, not surprisingly David Cameron has been dished his fair share of hate. Yet, I am left wondering; if no-one trusts Cameron, then who do they trust?? Not one person ever answers this question…………. I mean aren’t ALL political parties and politicians the same; full of empty promises?? Yet, to balance the argument out here a bit; the UK was in a pretty poor state when this coalition Government inherited it. No-one, not even David Cameron can be expected to work miracles over night, any change WILL take time. I am not a ‘fan’ per se of any politician though, but I can see that at this moment whatever is done or not done will cause uproar. So perhaps then their failings, like all the others before them is not their party rhetoric or their policies, but that they aren’t consulting with their electorate AT ALL. Isn’t that what politics is though, consultation and representing the electorate? Politicians by nature seem to impose what they think are great solutions, leaving us all out in the wilderness, alienated from the political sphere. We are left wondering what is this all about? Don’t WE the people count? Where is TRUE democracy, if it ever existed, gone? ‘I ABSTAIN FROM VOTING’ – I wonder how many people in the UK would tick this box? ANSWERS TO THESE QUESTIONS ARE MOST WELCOME PEOPLE! Please let me know YOUR thoughts……..
What do YOU think about the place politics holds in today’s society. Has politics lost it’s direction? Are we all being ignored by the bureaucratic processes? ?